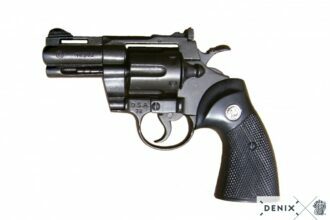 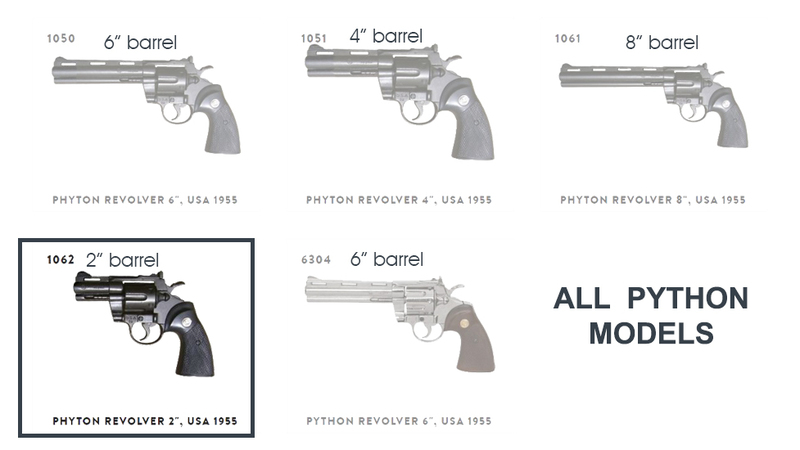 The 2″ Python is a double action revolver calibrated for the powerful .357 Magnum cartridge. 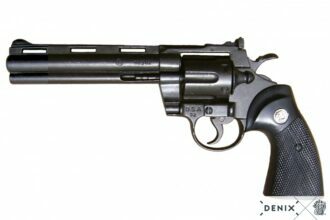 Also known as “Combat Magnum”. 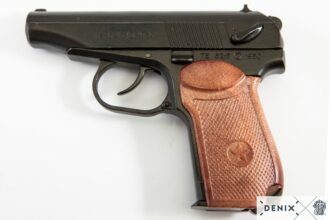 It was presented for the first time in 1955, and it was aimed at the segment of luxury revolvers. It is a recognized revolver for its precision, smooth stroke and solid construction. Enjoy our precious reproduction featured in video games such as Resident Evil, Grand Theft Auto, Naughty Dog or Half-Life saga and also in series such as The Walking Dead, where Rick Grimes’ main weapon is!